This 4 Year PhD and Clinical Fellowship Programme functions as a focal point for promoting international quality basic and clinical research within Cardiff University. The establishment in 2009 of the Cardiff Cancer Research UK Centre reflects the high standard of basic and clinical science within Cardiff University and aims to drive the knowledge that has been gained to patient benefit. Cancer Research UK funds a number of PhD Studentships and Clinical Fellowships within the programme. Fees: UK and EU students fully paid, non-EU students extra fee will apply. Consumables: an annual contribution of £8000 would be required from the student. Science Graduates: First or Upper Second Class in a relevant area (e.g. biochemistry, anatomy, genetics, physiology, natural sciences). This is a training doctorate, previous research experience is not essential. 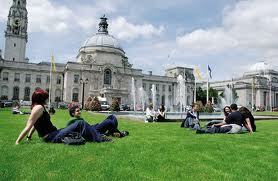 Why study Cancer Biology at Cardiff? Cardiff University is pioneering an integrated approach to cancer research with the cancer charity Cancer Research UK by establishing a cross-disciplinary Cancer Research Centre. This PhD training programme aims to produce the future leaders of cancer research and is a central feature of the new Centre. Medical research is entering a new phase of development that presents unparalleled research opportunities for basic science and its exploitation to benefit health. To meet these challenges it is evident that researchers need to appreciate the basic, translational and clinical aspects of the topic. A broad grounding and awareness of emerging technologies, good skills in informatic and an understanding of the challenges in the clinic will be of key importance. Cardiff University, with its significant strengths across these disciplines, is well placed to design and administer a research-training programme and develop cancer researchers, who will eventually specialise in specific topics in basic, translational or clinical research, yet will have an unrivalled understanding of the wider perspective of cancer research. Cardiff’s PhD and Clinical Fellowship Programme in Cancer Studies brings together research groups that span different disciplines in cancer research to train and supervise postgraduate researchers and clinicians in areas that underpin the strategic goals of the Cardiff Cancer Research UK Centre. All cancer studentship supervisors will have substantial financial support that has been won in peer-reviewed competitions. Thus, students have a great opportunity to take part in cancer research that is of the highest international standard, that is likely to result in publication in top scientific journals. Why take Cancer Studies as a 4 year Programme? Our 4 year Programme provides a broader and more in-depth practical and theoretical grounding in Cancer Biology than conventional 3 year programmes. During the first semester of Year 1 you will receive formal lectures in current research techniques and skills, including molecular/biochemical techniques; informatics, pharmaceutics, evidence analysis and clinical aspects of cancer. This will be accompanied by tutorials that will address specific areas of cancer and focus on new conceptual questions, recent progress or technical/clinical challenges. The objective is to make each postgraduate researcher aware of the current state of knowledge, technical limitations and clinical issues where future progress may be made. In the second part of Year 1, you will take two three-month rotation projects in internationally renowned labs of your choice. During the lab rotations, you will carry out research, gain knowledge of the questions addressed by the lab, and acquire direct experience of the relevant techniques. Lab rotations will help you to reach an informed choice of the cancer biology area and supervisor you will choose for your full PhD project during Years 2 to 4. Throughout all the years you and your colleagues will participate in weekly seminars and presentations at journal clubs. The programme is designed to ensure an excellent PhD experience and to prepare you for an outstanding future. The application process for start date of October 2013 will open on Monday 1st October 2012 and close on Friday 11th January 2013. Demikianlah informasi mengenai PhD Studentship in Cancer Studies, Cardiff University, UK semoga berguna bagi anda.